I have mentioned but all the American television programmes I watch finished a week or so ago ... ALL AT THE SAME TIME! So apart from Game of Thrones (which only has 3 episodes to go) I have nothing else to watch. Saying that Pretty Little Liars is back on ... YAY! 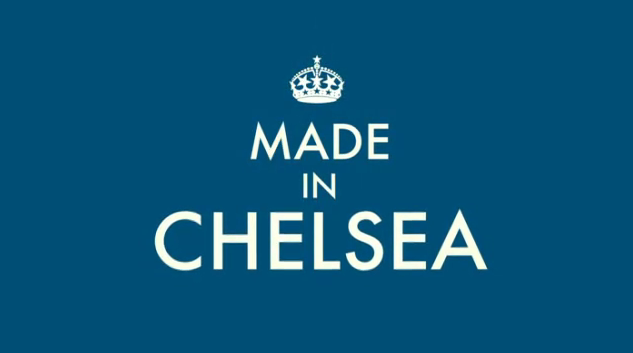 I decided to take to Netflix and discovered they had the newer seasons of Made In Chelsea ... now I used to watch this back when it first started and then I think I stopped watching around the third season. Then I watched the fourth season last year but they are now on their ninth season now so I thought it was time to catch up and see what's going on! Anyway I thought I'd pop up a quick post of 15 thought I had while watching the first 5 episodes of Season 5 (which is where I started after my little break). 1. Is this real? Seriously is this real? 2. I really like Binky ... pity I'm gay and she doesn't even know I exist! 3. Ughhhh I actually thought Alex was gay ... why isn't he gay! I'd let him split me in two! 4. It's okay Cheska ... Lucy is in tears but you stuff your face! 5. I love these slow-mo scenes every now and then ... have they stolen them from Stef and Hannah Maggs? 6. *pauses the show* My god this is cringey sometimes ... To set the scene Spencer and his new girlfriend just sat down next to Andy and Louise who were trying to repair their destroyed relationship - which Spencer happened to destroy ... he then proceeds to ask questions like 'so are you back together' 'why is it awkward' ... I felt for them ... I really did. 7. Now they're friends?! They hated each other in the last episode ... God I can't keep up! 8. How many parties do they go to a week? 9. Seriously do they ever work??? 10. I feel like this Phoebe girl might be a psycho who locks you up and tortures you ... she has that look! 11. Okay Sam is kinda cute ... in a goofy kinda way! 12. I don't think I can count on one hand how many times Spencer has cheated on his girlfriend! 13. Seriously is this REAL!? 15. Wouldn't wanna get on the wrong side of Louise! I don't think I need to say anything else do I?! Do you watch MIC?! Let me know in the comments.